As UN inspectors continue to investigate the near-certain large-scale use of chemical weapons in Syria — an investigation that is not tasked with identifying who actually launched the recent Ghouta gas attack, though there is little doubt that it was the Assad regime — US-led strikes appear increasingly inevitable. “It’s difficult to find a single sentence in Secretary of State John Kerry’s forceful and at points emotional press conference on Syria that did not sound like a direct case for imminent US military action against Syria,” Max Fisher noted of Kerry’s Monday address, though despite President Obama’s unequivocal declaration that the horrific attack was the responsibility of the regime other US officials remain careful to avoid the ultimately-misplaced certainty that characterized the push for the 2003 invasion of Iraq (link via CFR). Airstrikes would likely target the military forces responsible for the attack and the regime’s command and control structure, rather than the chemical weapons themselves — remember, airstrikes targeting storage sites would release chemical agents into the environment, and actually securing these weapons would require a ground invasion and 75,000 troops. In addition to hopefully degrading the Assad regime’s ability to launch future chemical attacks, airstrikes could also serve as a “punishment” designed to uphold the international anti-chemical weapons norm. Strikes will be “motivated less by any strategic objective than to punish Bashar al-Assad for a violation of international law and common decency and to deter him from doing it again,” writes Joshua Keating in a review of the history of war-as-punishment. Prime Minister David Cameron and President Francois Hollande today both backed off their earlier hawkish positions on intervention in Syria, with Hollande stating that “everything must be done for a political solution but it will only happen if the coalition is able to appear as an alternative with the necessary force.” Both countries have apparently dispatched military assets to the region. Stephen Walt laments that the US is going to war in Syria because “we just can’t stop ourselves,” an argument that echoes Eric Martin’s 2011 piece recently highlighted by Matt Yglesias and Scott Lemieux on the ‘ratcheting effect’ that leads to unintended war. Kevin Lees also sees the potential strikes as a “shoot first, ask questions later” mindset, and Robert Farley notes five questions to ask before launching military strikes to send a message, including asking who are we talking to, and will they hear the message we want them to? Erica Chenoweth examines whether military interventions save lives in civil wars. 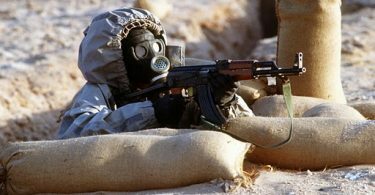 The Economist and the LA Times have both called for the red line prohibiting chemical weapons use to be enforced, with the Economist opting for a particularly blunt cover. In the New York Times Ian Hurd urges bombing Syria “even if it is illegal,” an argument Charli Carpenter disagrees with. 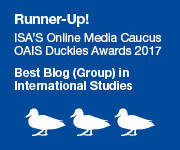 On the subject of legality, Sophie Rigney examines international law’s impact on the debate (via Mark Kersten). Remember when James Blunt single-handedly prevented a shootout between NATO and Russian forces in Kosovo? Joshua Foust highlights the incident — in short, military actions have the potential to go wrong in unexpected ways — while critiquingthe “conventional wisdom pushing for an American war in Syria.” Daniel Larison agrees, arguing that US action in Syria makes accidental war with Iran — whose military is deeply involved with the Assad regime — more likely. Also remember that “airstrikes” doesn’t necessarily mean aircraft. 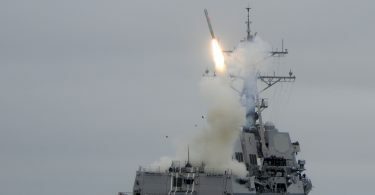 Instead, the potential strikes will likely take the form of surface and submarine-launched cruise missiles, rather than ordinance delivered via tactical aircraft. For his part Assad has threatened that he will defend Syria from any outside “aggression”, Damascus residents prepare for bombings, and Israelis fearing Syrian retribution stock up on gas masks. Highlighting the divisions among the Syrian opposition, Foreign Policy profiles “the civil war within Syria’s civil war” and talks to female Kurdish fighters battling al-Qaeda-affiliated Islamists. Whether or not international military action is the first step towards ending the Syria conflict remains uncertain. But Syria’s people continue to suffer, and aid agencies like the UNHCR accept donations.